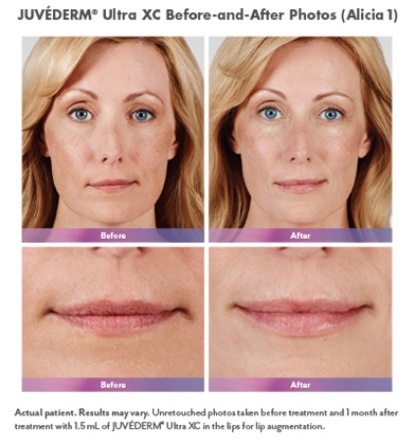 Juvederm ® Ultra is one of the original hyaluronic acid (HA) filler products in the Juvederm family used for the augmentation of lips and for the improvement of facial volume loss with results lasting up to 12 months. HA is a natural substance in the skin that delivers nutrients, helps the skin retain moisture and softness, and adds volume. Each product in the JUVÉDERM® collection of fillers is made from a modified form of HA.